A magnificent unheated ‘fancy’ Tanzanite. 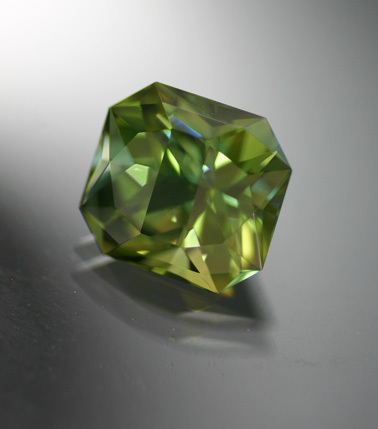 The size is superb, the cutting is a custom US job that is the definition of precision and the color is an unusual and enticing trichroic green. Present are modifiers of yellow and some brown, however the dominant green is quite bright and pleasant. Moreover, at some angles a light bright blue pleochroic color is readily visible. 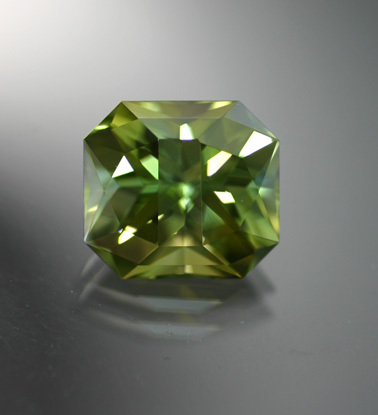 Really a special piece custom cut from a fine and special piece of rough.